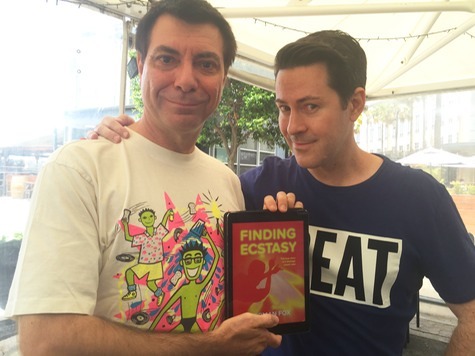 Norman Fox (that’s him the young together one on the right) has written a coming-of-age novel (Finding Ecstasy) against the backdrop of the late 80s Hordern Pavillion dance parties. He was there and lived it. We took a walk around the Hordern today while sharing some stories and flat out gossip. Join us in your 501s, Doc Martins and padded bomber jackets….